New Fairfield’s Zach Buffington reacts during a game last year. For a group of more than a dozen New Fairfield seniors, 2019 will represent the end of a remarkable journey that produced the best lacrosse team the town has ever seen. The majority of the group will head off to college to compete across the country. Eight seniors — Goalie Brennan Hart (Bryant), defensemen Zach Buffington (Hartford) and Nick Alviti (Vermont), midfielders James Leary (Robert Morris) and Liam Ford (Cortland), and attackers John Morgan (Sacred Heart), Brett Tenaglia (Furman) and Dylan Hanley (Western New England) — will continue their careers after June. That doesn’t count outstanding faceoff man Matt Constantinides, who will likely follow. One of the best in the state as a sophomore, Constantinides has the potential to be an impact player once winning the draw. It’s something that’s an annual tradition for its Gold Coast counterparts, but in Morgan’s 25-plus year run with the program, this is a class that may not be seen again for quite some time. All but one starter (Matt Carlucci) returns for New Fairfield, which won the SWC and Class M championships a year ago. More than a decade’s worth of experience playing with one another has led to more wins than losses. 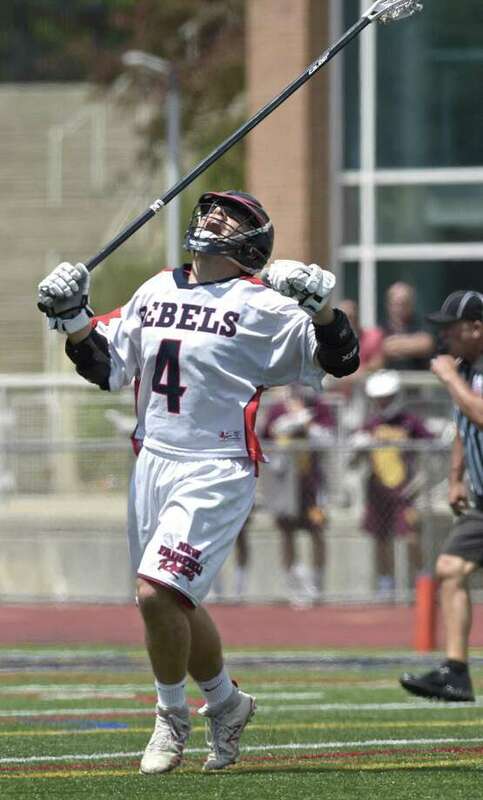 Alviti and Leary were each named CHSLCA all-Americans last season as the Rebels went 22-0. Seven from last year’s squad were first team All-State. The Rebels — who finished No. 2 in last year’s state poll as the only undefeated team — will have a chance to prove their mettle against several strong opponents and earn the monicker as ‘the top team in the state.’ That includes a season-opening visit to Lincoln-Sudbury (Mass), which won three straight state championships from 2015-17. Perhaps the game of the season comes April 4 when nationally-ranked Anthony’s travels to Sacred Heart University for a neutral-site game at John Morgan’s future home. Matchups against Staples, Glastonbury and Stepinac (New York) also dot the schedule. Having many of these showdowns early in the season could benefit the Rebels, who likely have reached maximum chemistry. The SWC and Class M tournament may seem an anticlimax after a brutal schedule, but the chance to sign off careers with three conference and two state titles would be quite the legacy.